We understand first impressions last forever and when you work so hard at making a project successful and with your companies name on it, how it looks can make or break the impression that you leave behind. We treat every job with that knowledge. 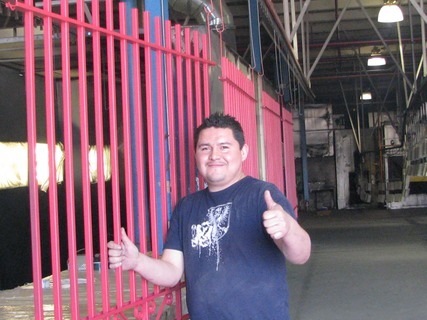 Your high quality finish begins with the substrate preparation. We take that seriously and offer a full spectrum of surface prep from abrasive blast cleaning, Iron Phosphate 3, 5 & 7 stage process and Zinc Phosphate to a full line of conversion coatings. 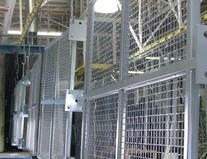 Our North Eastern US Facility has over 120,000 square feet available to handle all size projects simultaneously. 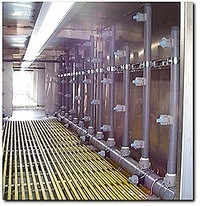 Here we have multiple automated lines for both powder coating and wet spray. Large batch capacity able to fit a tractor trailer into one of our ovens. 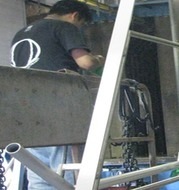 5,000 square foot abrasive blasting room and a Large Lay-down area. Sandblasting or abrasive blasting is used for many reasons but most importantly, its used as a method of removing scale from steel. 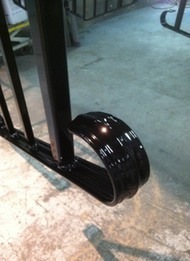 In any coating process the condition of your base is your weakest link. The best systems can fail if the substrate is not properly prepared. Leaving rust on a substrate will only allow it to continue to form under your coating and at some point your coating will bubble up and pop as the oxidation pushes up on it. This spot failure will open the protective coating up to the elements and the rest of the surface will quickly begin to fail as moisture creeps in from the breaks. On Galv to remove top layer of galv salt. Clean off impurities from surfaces. Remove embrittlement from laser cut edges. 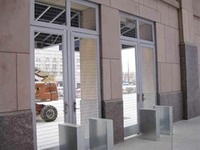 NikLyn Corp has one of the largest capacities for coating rails, gates and fencing with over hundreds of miles of completed projects in the field our systems and processes have been successfully tested. We are a WBE and Disabled Veteran owned buisness located in a Certified Hubzone. Abrasive blast cleaning done in house with no long wait times between blast cleaning and primer. 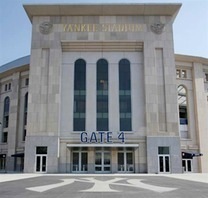 DOT Approved or Certified: CT, MA, RI,NY, & NJ. If you need a project done for a state project or DOT please allow us to become certified or approved with our experience, history and processes; its usually just a few days to complete. 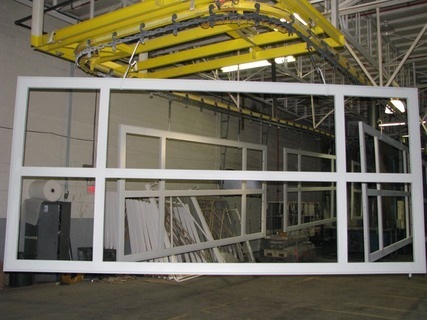 Having such large coating lines for both liquid or powder coating processes allows you to fabricate your assemblies in larger sections. 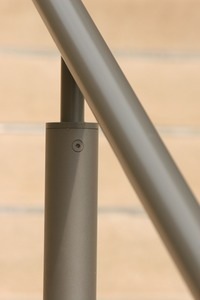 Less field welds and less touchup means less cost. 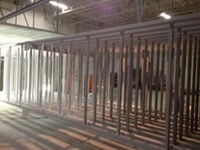 Our Architectural line can handle a section of fence up to 80' long and 10 feet tall. 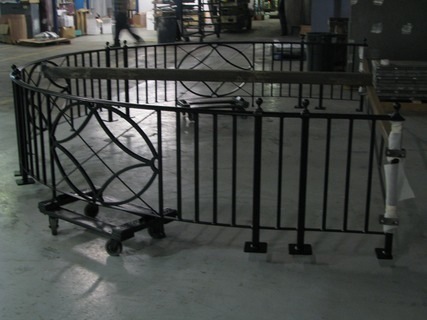 Our batch can accommodate a 65' x 12' x 14' assembly whether its a stair assembly or small pedestrian bridge section we can powder coat or paint to your specifications. 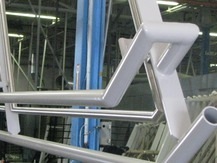 Process: Surekote 6™; abrasive blast SSPC-SP10, zinc primer, then finish coat in a PPG polyester finish. 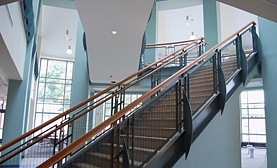 Schubert Theater Rails: This projects was challenging with having to abrasive blast the steel railing while not damaging the stainless handrails that were attached. 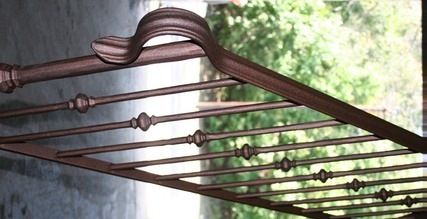 This three coat process delivered in only a few days 800 feet of railings. 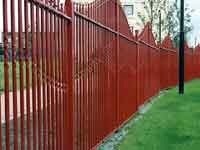 To the Right Hartford wire safety fencing abrasive blasted then two coats of powder Surekote 6™ Zinc Primer followed by a polyester finish coat. 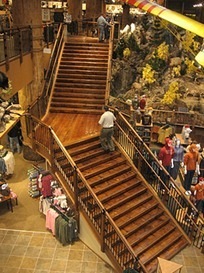 Above Cabelas Stores Hand rails and decorative animal shape: abrasive blasted then two coats of powder Surekote 6™ Zinc Primer followed by a polyester finish coat. 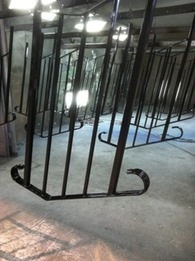 Custom hand rails to commercially produced railings we supply all size projects. 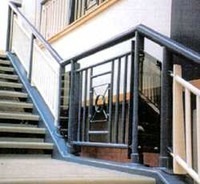 Miscellaneous rails, stairs, fencing of all size projects. Below Spiral Stair case systems Powder coated in a White Gloss Urethane finish after it was abrasive blasted and since primed. 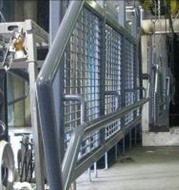 AESS finished stair case rail system completed while assembled to their stringers. Below is a four coat CT DOT project for fencing coating in a liquid four coat process: Abrasive blasted SSPC-SP10, Zinc Primer, Epoxy intermediate Primer, Urethane coat and finished with a Urethane clear coat. over 1400 feet done on our automatic line. Here you see our hand spray operators applying the zinc primer, the next two coats was coated using a automatic electrostatic painting system. 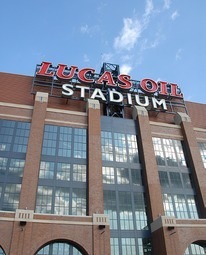 Then the final coat was done by hand. 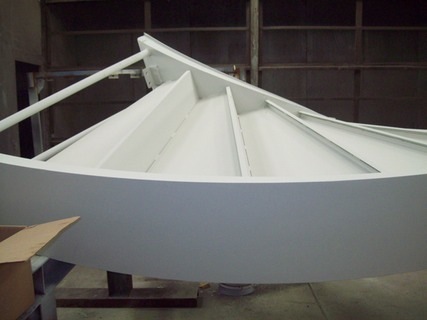 Below is a large radius balcony rail fabricated in one pieces and then coated in a Surekote 10™ Zinc Primer, then a coat of epoxy primer, followed by a polyester finish coat. Below is a fully assembled stair case system that was first hot dipped Galvanized before we allpied our Surekote-Galv 6™ SD system; abrasive blast SSPC-SP7, Epoxy Primer followed by a Super Durable polyester finish coat. 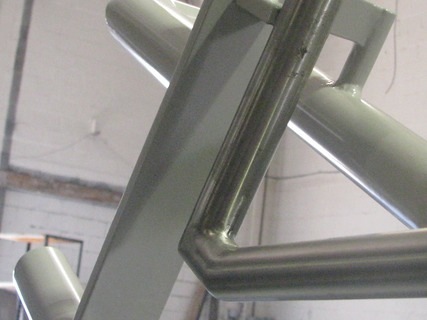 Below is a fully assembled section of a stair case system that was finished to meet an AESS specification, which required SSPC-SP10 blasted surface, girding, sanding, and filling work was applied to all seems and welds before an epoxy primer was applied. Once cured we reinspected all surfaces and sanded them to a smooth automotive quality finish. Then a second coat of epoxy primer was applied. 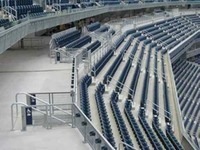 Below are fence section, which were coated in our Surekote FP 10™ Fluoropolymer Systems. 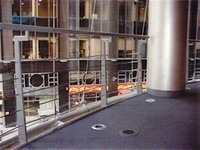 The steel fencing was abrasive blast SSPC-SP10, Zinc Primer, then Epoxy Primer followed by a Fluoropolymer finish coat.